It's common knowledge that zinc is an important part of your diet, found in foods like oysters, red meat and pumpkin seeds, but few realise that zinc can boost your beauty regime as well, being a great mineral for helping to maintain your scalp's health. HydraZinc is a vital ingredient in Head & Shoulders Shampoo and Conditioners, working to remove dandruff and help restore scalp's healthy appearance. 1.ZPT system (HydraZinc)- the Head and Shoulders active system, which begins to work from the first wash to help address the signs of an unhealthy scalp. 2.Skin caring conditioning agents- which works on the surface of the scalp to form a barrier to help to prevent moisture loss. 3.Protective hair conditioning agents- which seal the hair strand and help protect it from scratching damage and every day wear and tear. 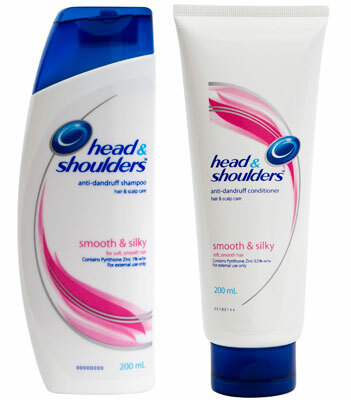 Using a Head and Shoulders Conditioner in combination with Shampoo increases the effectiveness of the removal of dandruff by 50%. The light formulation with zinc agents seals all the goodness, creating a healthy scalp and beautiful hair without weighting it down, giving all day softness.